Everyone is doing some sort of 30-day physical challenge these days. Sit up challenges, plank challenges, clean eating challenges, water drinking challenges, walking miles challenges…all to take care of the body. Sometimes it seems we care more about our physical appearance than what goes on inside ourselves. What would happen if we took on a challenge that contributed to the health of our relationship? The whirlwind of the holidays is over probably leaving you and your spouse in an exhausted heap of unromantic days. The days of hosting parties, cooking, juggling schedules to try and get everyone in the same place at the same time, wrapping, and cleaning can take a bit of time to recover from. This new year set a goal to nurture the health of your relationship. It is time to pick yourself up, dust yourself off, and get back to loving on each other every day. We must be intentional with our love. We must choose every day how we will love our spouse. 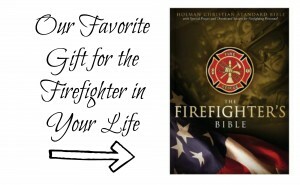 The fire life can be a crazy (in a good way) mess many days, and finding a way show your spouse just how much they mean to you on a daily basis can be a challenge in itself. One of our affiliates,the Dating Divas, have created the (easily manageable) 30 Day Love Challenge packed with ideas of how to show your spouse love every day for 30 days. The Dating Divas have not only incorporated this 30 day Love Challenge on multiple media platforms (instagram, Periscope, printables, etc. ), but they have also touched on all of the love languages! 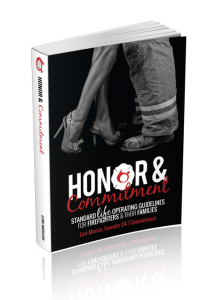 Follow through with the commitment you made to love your spouse always when you were married. Foster the health of your most important relationship. Give the next 30 days to showing your spouse the undying love you have for them in your heart, and see where it takes your relationship in 2016! Join the 30 Day Love Challenge and Reignite the Spark in Your Marriage!